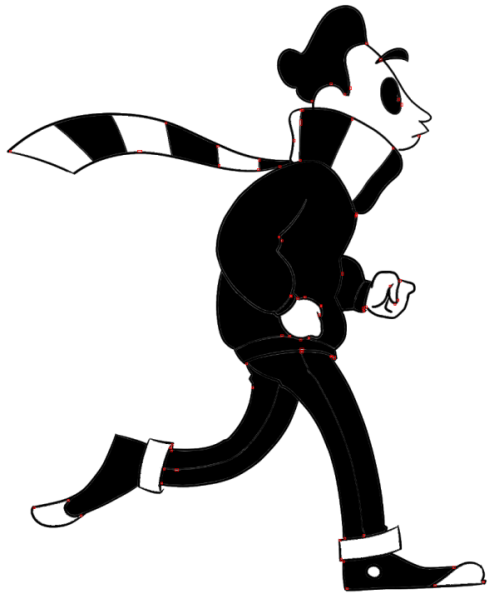 When you colorize with the bucket, there might be some areas near the drawing lines that are not correctly filled. The Color Checker allows you to detect those missing pixels. The Color Checker can be found in the main menu Windows > Show > Color Checker. Activated/Inactivate will turn on and off the display of the colors into black. 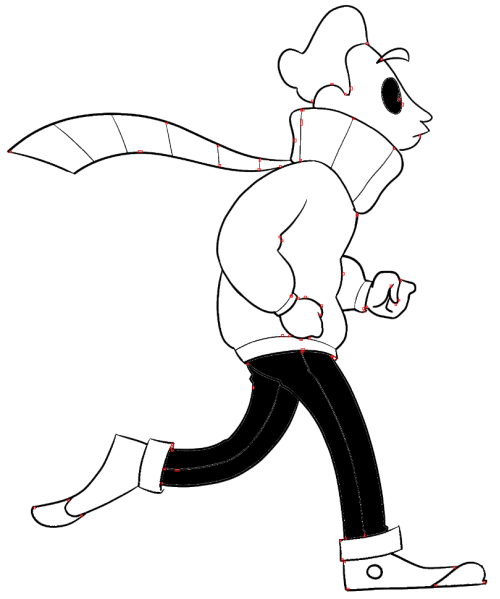 What is not colored turns to white. 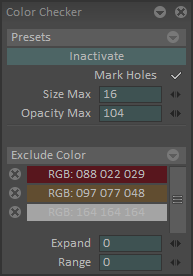 If you check Mark Holes, and activate the Color Checker, the missing color pixels between the different colors will be indicated by little red squares. 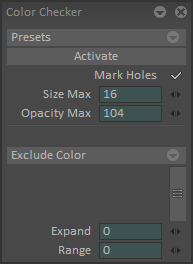 Size Max sets the maximum size under which a hole will be detected. Opacity Max sets the maximum opacity under which a hole will be detected. Exclude Color will set the colors that will not be displayed in black when the Color Checker is activated. Expand defines how much pixels to expand the area covered by the excluded colors, and excludes the colors included in that area. Range defines the range in which a color is considered to be close enough to an excluded color to be excluded.